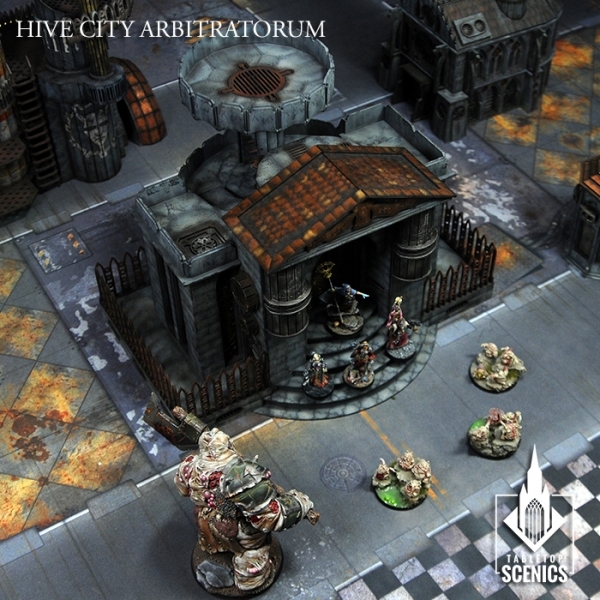 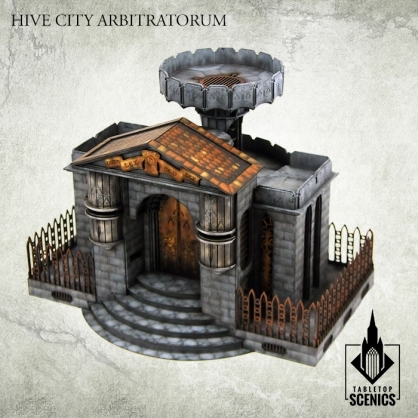 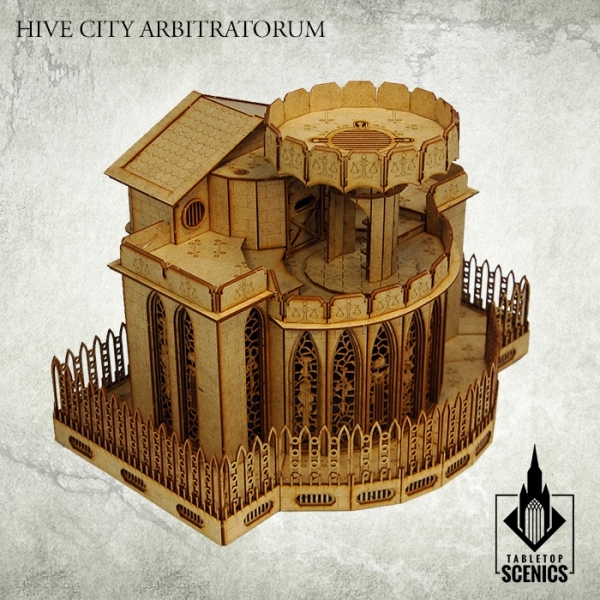 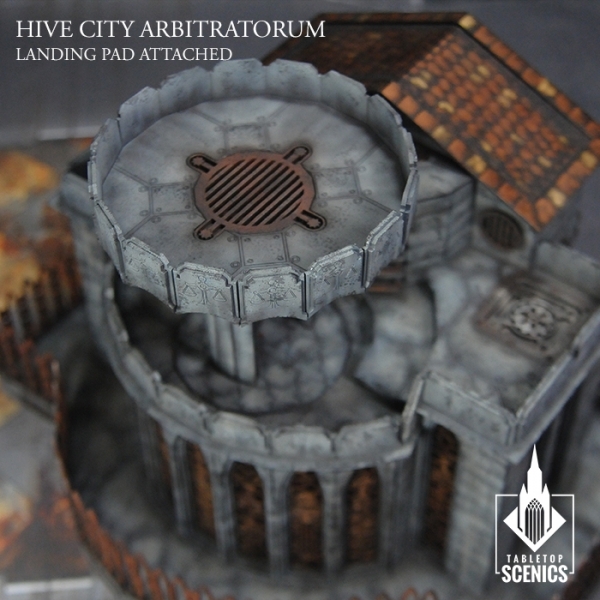 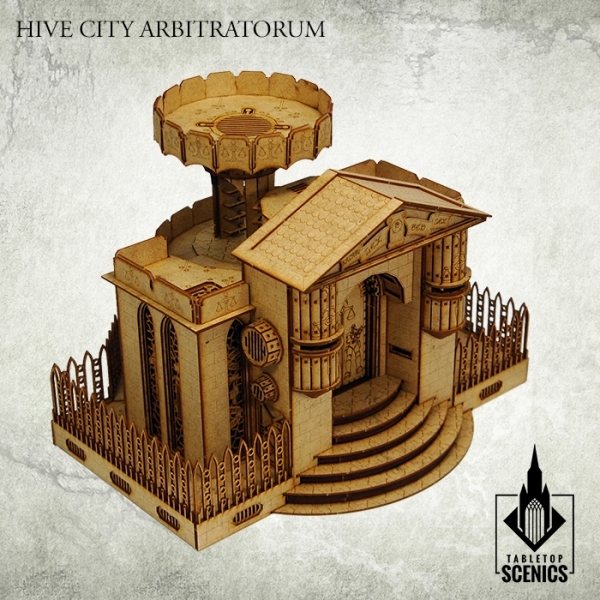 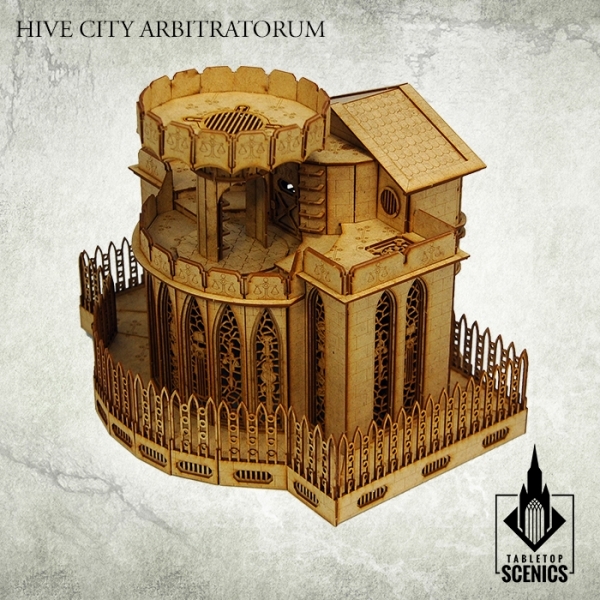 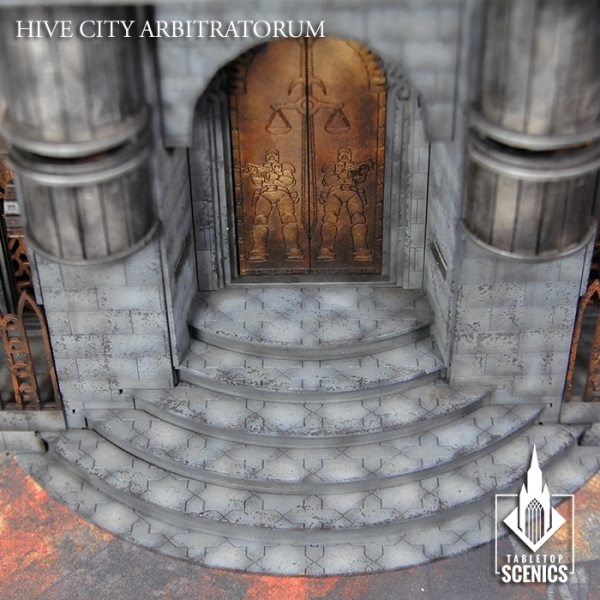 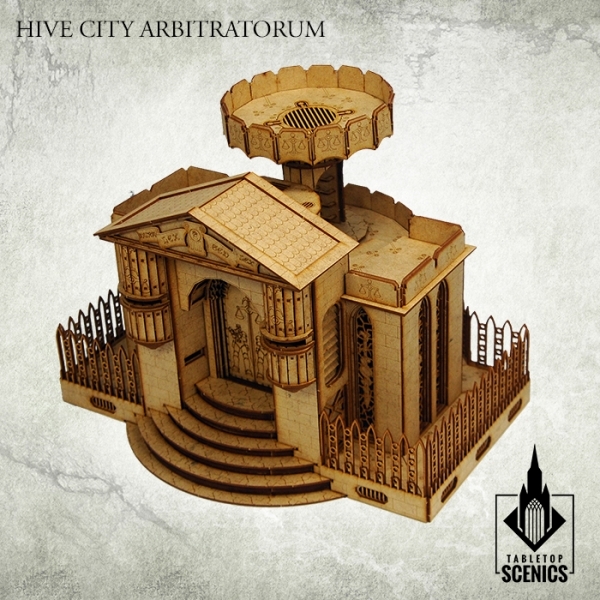 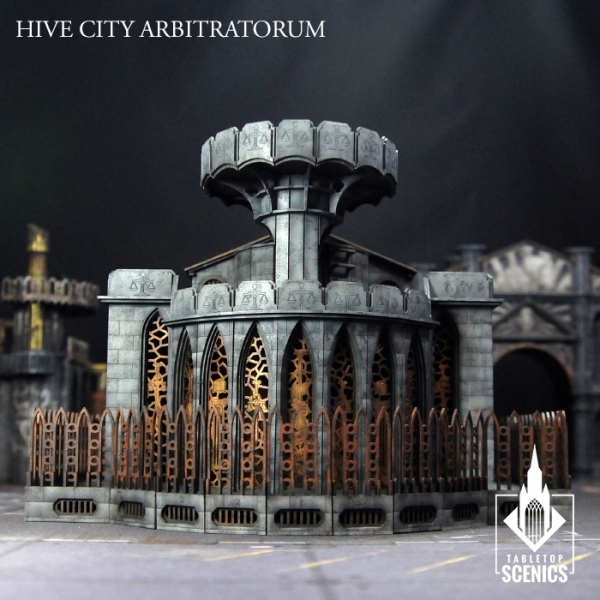 This set contains elements to assemble 1 Hive City Arbitratorum with detachable landing pad. 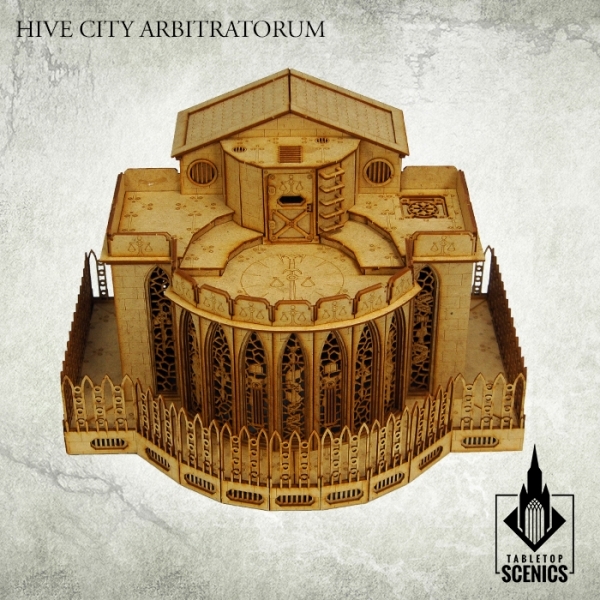 Feared by bosses of Hive City black market, law enforcement structure houses cells, armoury and bureaucracy of one of the largest Imperial organisations. 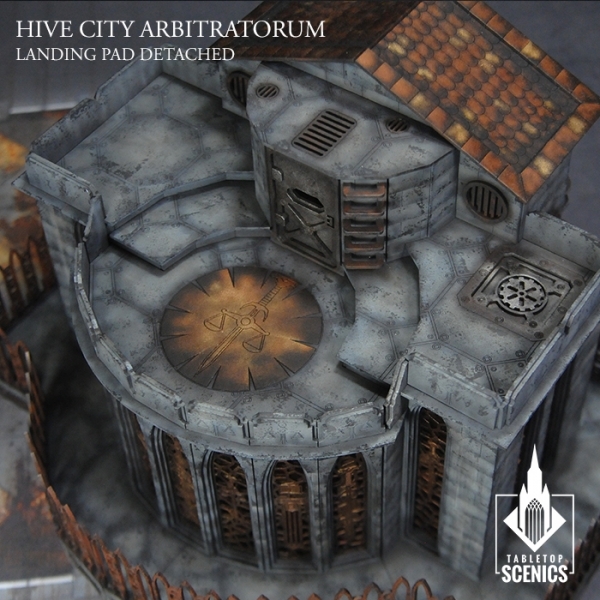 The rooftop has a landing pad for skimmers and small aircrafts, which can easily transform into a firing platform. 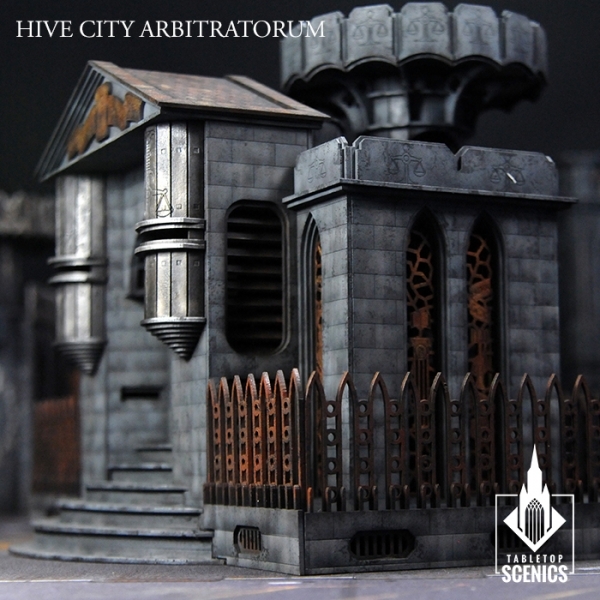 With fortifications barring those of planetary defense force, Law Enforcmement headquarters can withstand attacks not only of gangs but even of an invading army.